Tonight is a big night in country music. The CMT Music Awards are presented tonight in front of a sea of fans and country’s hottest artists. Country music fans, especially fans of CMT and country music videos, are excited and cheering for their favorites to win the awards. I’ll have more as the awards develop later today including my thoughts on the performances and winners. There are sure to be some memorable moments as rocker/country artist Kid Rock is scheduled to host. Whatever he has up his sleeve is sure to be surprising and fun. I’m sure Kid Rock will even duet with someone. I’m hoping he and the Zac Brown Band will do a version of Can’t You See. 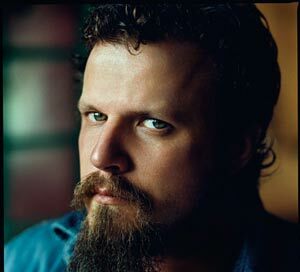 It’s also rumored that Jamey Johnson will sing his new single “Macon”. Fans have been waiting for forever it seems for new music from Jamey Johnson. It should be an exciting night. Follow @CMusicLife on Twitter for my thoughts as the show happens and watch for tomorrow’s post on the show. In the meantime, I thought it would be fun to pick the winners of each award. These are based on pure gut emotion and will likely have no chance of becoming right. Thoughts: Lady A is hot right now, but Carrie’s video was a spectacle and quite amazing. Update: Carrie Underwood wins. An amazing video that stood out in my mind as the best video of the year. The fans always know best. Her fans surprised me on this one. I thought Lady A would pull it out. Thoughts: People of all ages all over the US loved this song and video. It was very well done. Update: Keith Urban wins it. I was wrong on this one. Keith has a ton of fans and he was out touring and working harder than usual this year. I should have guessed. Great job, Keith. Thoughts: All the nominees are hot right now and all the videos are great. Miranda seems to be the hottest as she’s coming off her first #1 hit, but Carrie’s video, as mentioned above, was fantastic. Update: BIG win for Miranda Lambert. She received a standing ovation. Her career is on fire right now. An amazing talent. Thoughts: I gotta go with the funny, creative video. Plus it includes host Kid Rock. Update: The winner was Lady A. It was a big video and a huge song for the group. They have really succeeded in country music. Thoughts: In a year that lacked big hit videos from Sugarland, Brooks & Dunn, and Montgomery Gentry, it’s hard to really pick the best. B&D take it home and probably should. Will we see Ronnie Dunn in the male category next year? Update: Brooks & Dunn take home the video. No Ronnie at the show? Interesting. Two great guys that are always deserving of awards and recognition. I hope these guys stay friends forever and continue to get together every once and awhile. Great creative talent as a duo. Thoughts: The biggest hit of the year was Hillbilly Bone – bar none. The best performance I thought was Heaven, however. Sometimes a simple live performance can have the most impact. For not being a single, I heard this song a ton on radio and saw it being played all over the Internet. Update: Blake and Trace take it home. A huge hit for both artists. A unique and fun song. I liked it. Thoughts: This girl just keeps putting out classic performances. She’s great. Update: A great win for Carrie. Her talent shown through on Idol and she always gives the best live performances. I saw her at a festival a few summers ago and she definitely stood out for her live show. Entertainer of the Year for sure. Thoughts: Another tough one to call. Will fans remember Luke Bryan’s breakthrough hit from earlier this year or will Laura Bell Bundy surprise everyone by winning the award? Laura’s marketing efforts were spent mostly on the Web and on CMT promoting her videos. I would not be too surprised if she took home the award. Update: Luke Bryan wins the award. He’s really on a roll right now. It’s hard to deny that he deserves it. A great video for a huge song. Thoughts: Chris Hicky always does a good job with some of my favorite country songs. Update: Actual winner was Shaun Silva. I’m off. Congrats to Shaun. He’s a great director. I loved You Save Me from Kenny Chesney. Who do you think will win tonight? Share in the comments.